Les deux pigeons [“The two pigeons”]. The lines on top read: “Mon frère a-t-il tout ce qu’il veut: Bon souper, bon gîte, et le reste ? La Fontaine” - [“Has my brother got everything that he wants: good supper, good accommodation and the rest? La Fontaine”] Full-color leaflet, printed by Paix et Liberté [s.d. ]; 10 x 14.5 cm. 1Under the auspices of the ”Peace Movement” a demonstration was organized on 28 May 1952 on the occasion of the arrival in Paris of General Matthew Ridgway. Ridgway had succeeded Douglas MacArthur as commander of UN forces in Korea and had been accused of using bacteriological weapons there against North Korean and Chinese troops. He was on the point of replacing Dwight Eisenhower, soon to be American President, as NATO commander in chief. 2That evening, Jacques Duclos, acting secretary-general of the French Communist Party, was arrested in Paris itself. To justify this arrest, police invoked the fact that, in addition to a caliber 7.65 milimeter pistol and a nightstick or truncheon, they had found two pigeons in his car. Above all, they had found the Communist leader’s notebook with notes of a meeting of the secretariat of the Politburo of the French Communist Party where he had written “We work for the certain defeat [of the French army] in Vietnam, in Korea, in Tunisia.” To further justify this arrest, the policemen pointed to the pigeons in Duclos’ car as: “pigeons clearly intended to transmit messages.” According to the Minister of the Interior, Charles Brune, the birds were evidently carrier pigeons, proof of Duclos’ treachery vis-à-vis the Republic. It is true that the French Communist Party was accused of undercutting the morale of the army. In fact, however, the two pigeons were dead. It was thus more probable that they were intended for the cooking pot of Mr and Mrs Duclos. After having been arrested Jacques Duclos was charged with having undermined the security of the state. 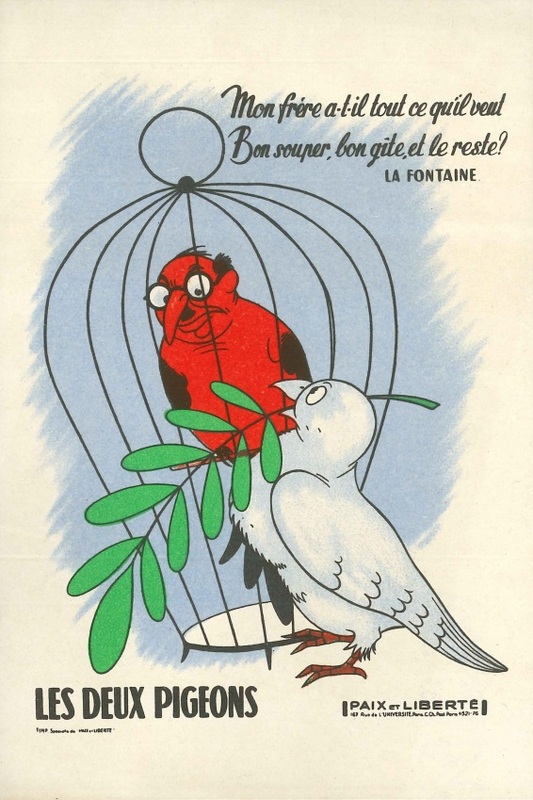 This was the notorious “pigeon conspiracy.” Incarcerated in the Santé Prison, the man who led the French Communist Party in the absence of Maurice Thorez was quickly liberated. The incident was nonetheless comical. Jacques Duclos, Mémoires, Paris : Fayard, 1970. Philippe Robrieux, Histoire Intérieure du Parti Communiste, Paris : Fayard, vol. 4, 1984. KOTEK, Joël. Les deux pigeons In : From Communism to Anti-Communism : Photographs from the Boris Souvarine Collection at the Graduate Institute, Geneva [en ligne]. Geneva : Graduate Institute Publications, 2016 (généré le 19 avril 2019). Disponible sur Internet : <http://books.openedition.org/iheid/6661>. ISBN : 9782940503971. DOI : 10.4000/books.iheid.6661. Kotek, Joël. “Les deux pigeons ”. Liebich, Andre, et Svetlana Yakimovich. From Communism to Anti-Communism : Photographs from the Boris Souvarine Collection at the Graduate Institute, Geneva. Geneva : Graduate Institute Publications, 2016. Web. <http://books.openedition.org/iheid/6661>. LIEBICH, Andre (dir.) ; YAKIMOVICH, Svetlana (dir.). From Communism to Anti-Communism : Photographs from the Boris Souvarine Collection at the Graduate Institute, Geneva. Nouvelle édition [en ligne]. 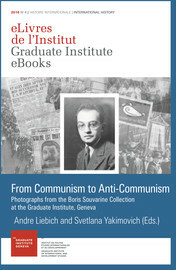 Geneva : Graduate Institute Publications, 2016 (généré le 19 avril 2019). Disponible sur Internet : <http://books.openedition.org/iheid/6440>. ISBN : 9782940503971. DOI : 10.4000/books.iheid.6440.